Members of Leitrim Tourism Network are pictured with Paddy Mathews, Failte Ireland, Head of Ireland's Hidden Heartlands during the recent workshops. 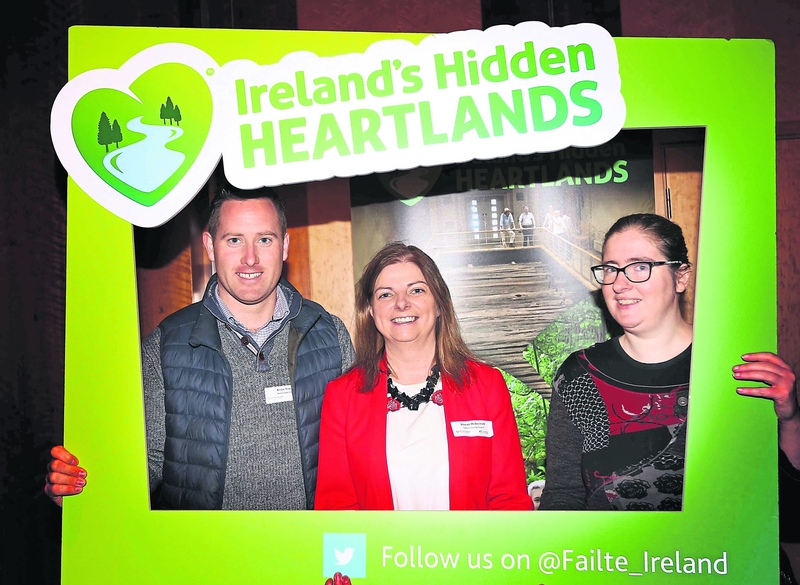 Members of Leitrim's tourism industry recently attended workshops on Fáilte Ireland’s newest regional experience brand, Ireland’s Hidden Heartlands. 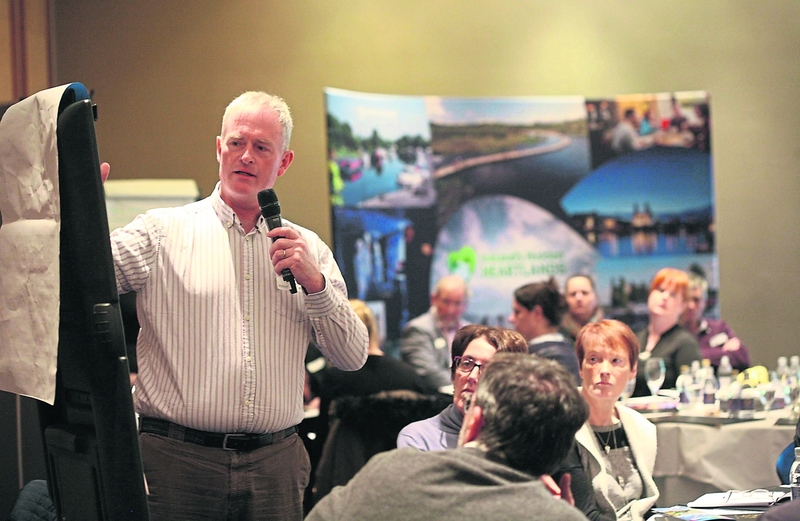 The ‘Ireland’ - Hidden Heartlands – The Road Ahead’ workshops aimed to give members of the local tourism industry an update on the brand since it was unveiled in April this year and explore opportunities to use the new brand to boost tourism and drive visitor growth in their area. • tips on how to use the brand toolkit to maximise the brand’s potential. Fáilte Ireland’s Head of Ireland’s Hidden Heartlands, Paddy Mathews, said: “We are bringing local industry and stakeholders up to speed on some exciting developments since we launched the brand and exploring how we can work together to transform the offering here over the coming years, driving visitor growth for the benefit of all in the region. “These workshops are extremely important as now that we have a team on the ground for the Ireland’s Hidden Heartlands brand, our focus is on working closely with key partners, industry and communities in the area to develop the top-class visitor experiences that will be key to the success of the initiative,” said the Fáilte Ireland leader. Fáilte Ireland’s first domestic consumer marketing campaign for Ireland’s Hidden Heartlands went live in early July. The multi-media brand awareness campaign, worth €1m, featured Leitrim’s Drumshanbo and Glenade Lough in a TV ad. As part of the campaign launch, the Ray D’Arcy Show on RTÉ Radio 1 broadcasted live from some key locations in Ireland’s Hidden Heartlands, including Carrick-on-Shannon. Further locations around Leitrim also featured in specially-commissioned editorial articles for the Ireland’s Hidden Heartlands campaign website, offering visitors a snapshot of what there is to do across the breadth of the region. The ‘Ireland’s Hidden Heartlands – The Road Ahead’ workshop for Leitrim took place in Lough Rynn Castle Estate, Mohill on September 25 last.